Good beaches especially the long one in Cala Millor.The promenade is nice,apart from the cycle lane that weaves along it,you are forever having to get out of the way as it's to narrow for two bikes to pass on it. Nightlife was the usual Karaoke/Quiz type of thing but little in the way of live entertainment. 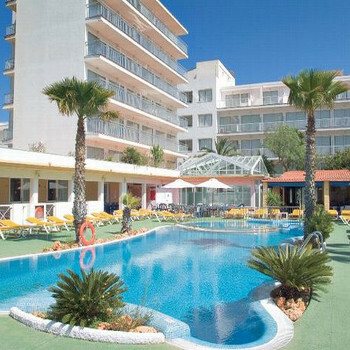 Cala Bona is a lovely resort, all flat and is family friendly. A lovely harbour, the beach is poor but a short stroll to Cala Millor for a lovely beach. The resort was cleaned every morning and the little beach was cleaned every day. Beach standard was quite good. I would visit this resort again. Very clean resorts, plenty of bars to choose from and the beach in Callor Millor is sandy, although I liked the beach in Cala Bona, as a shingly beach doesn't worry me. It is a very laid back, relaxed resort, just perfect for total relaxtion - loved it!!! We fell in love with Cala Bona and would definitely stay there again. resort is a lovely clean and peaceful. this is our 5th visit and stil love it. Ok..if you don't require any sleep..